DMREF is the primary program by which NSF participates in the Materials Genome Initiative (MGI) for Global Competitiveness. MGI recognizes the importance of materials science and engineering to the well-being and advancement of society and aims to "deploy advanced materials at least twice as fast as possible today, at a fraction of the cost." MGI integrates materials discovery, development, property optimization, and systems design with a shared computational framework. 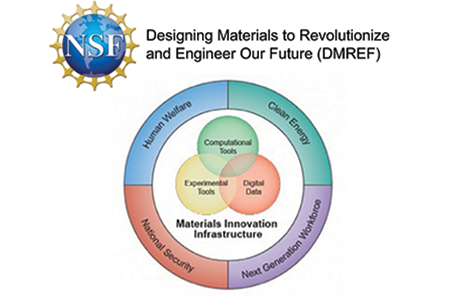 DMREF includes participation from ten divisions in three directorates at the NSF to address fundamental materials discovery and development. This program currently funds about one hundred projects that cover the full spectrum of materials research. Future priorities and funding opportunities for the DMREF program will be discussed.